Six months on from the 2017 Milan Furniture Fair is the London Design Festival. Ordinarily, this city wide celebration of the new is the preserve of rather smaller brands, and for the larger labels who had the wherewithal to show in Milan, this is where they exhibit the results of the feedback gained thence, with previous prototypes now manufactured and on the shop floor. Likewise more mainstream retailers have now had time to bring a selection of ideas to market, and just to keep you on your toes, faster-moving creatives will have already started the ever-evolving process of plotting their reactions and responses to what they have already seen! In terms of our context at this moment in time, The Trumpster is engaged in a school boy-esque Twittersphere trading of insults with a nuclear-warhead wielding manic, Summer completely failed to materialise and the British government appears to be a continuing maelstrom of back-stabbing and in-fighting, so all good, not. The look: Black and white >>> New Modern Black >>> End of the line. Black, rejected! 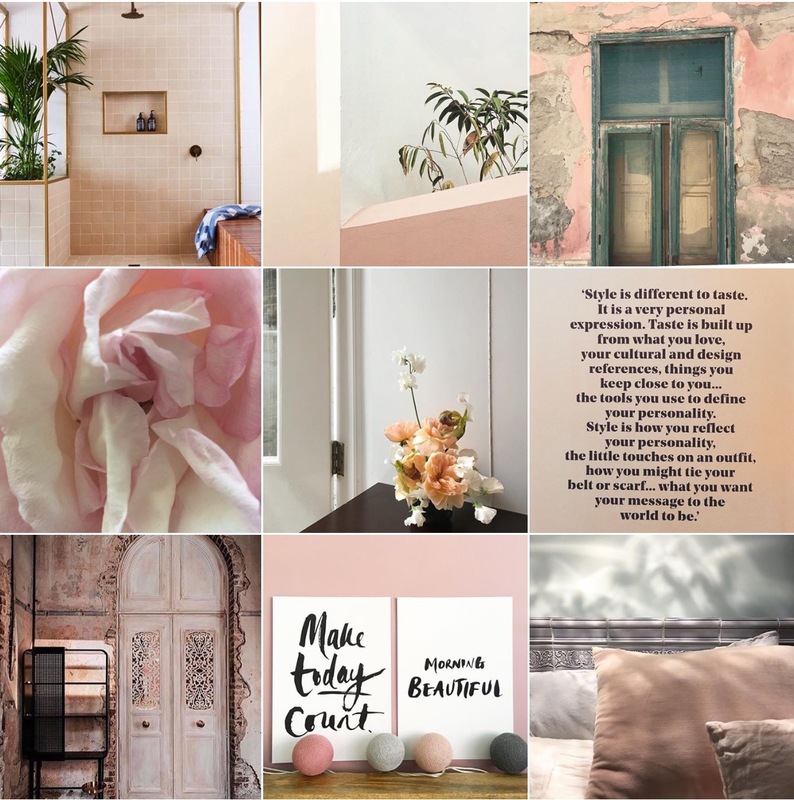 Peach: @michelleogundehin Instagram moodboard. Check feed for credits. 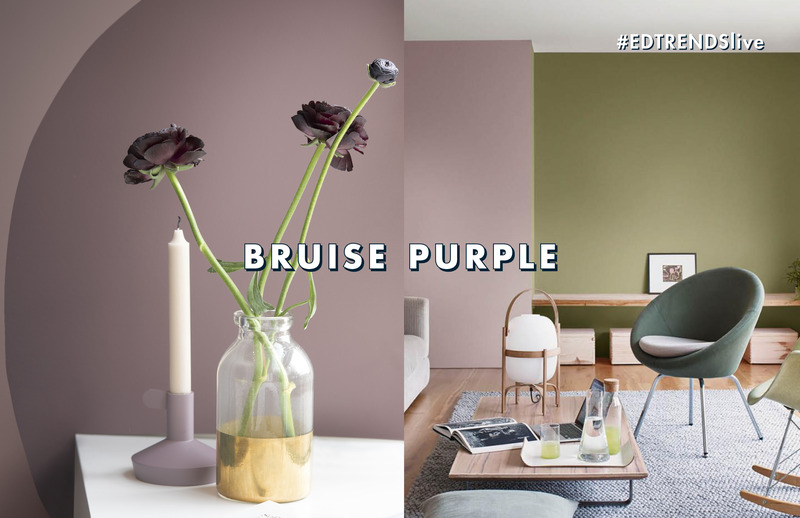 Bruise Purple: Dulux announced their colour of the year for 2018 and they called it ‘Heart Wood’ alluding to it as a “warm neutral with a hint of heather”. I promptly renamed it ‘Bruise Purple’ as to me, this instantly conjures the image of the colour and its connotations. And as I wrote (see here) at the time, “I think Dulux has actually got the colour right for once. For this has indeed been a bruising year. A year of schlock and horror. The world is in turmoil, potentially on the brink of a nuclear war, and a semi-psychotic reality TV star is still purportedly in charge of America. It couldn’t really get any worse, could it? Oh wait, our government’s also in disarray, the Brexit negotiations look like they’re going really well (not), and we appear to have failed to have summer, again, so… ‘Bruise Purple’ to represent the next chapter, perfect”. There is a positive to this really rather beautiful colour though, as well as it directly linking to the potential pivot to new neutrals as above. Read here for more. 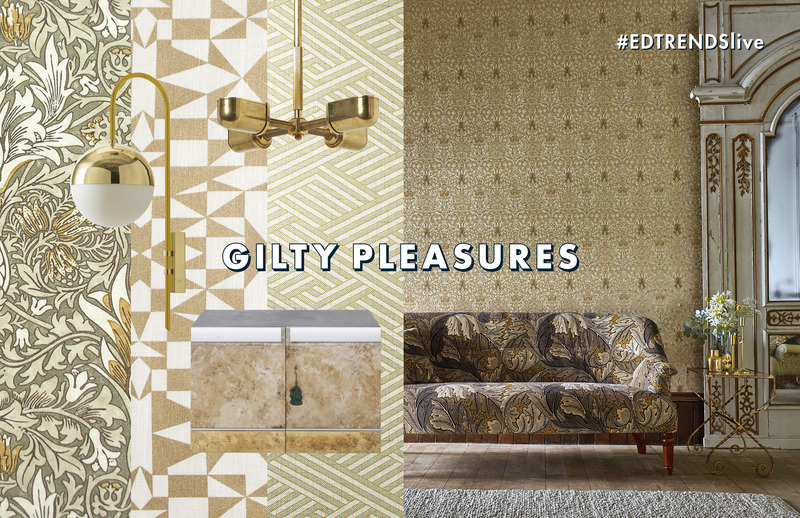 Gilty Pleasures: this represents the rise and return of gold, which I see in many ways as an extension of last season’s New Pretty trend, although expressed now primarily as wall finishes and lighting. 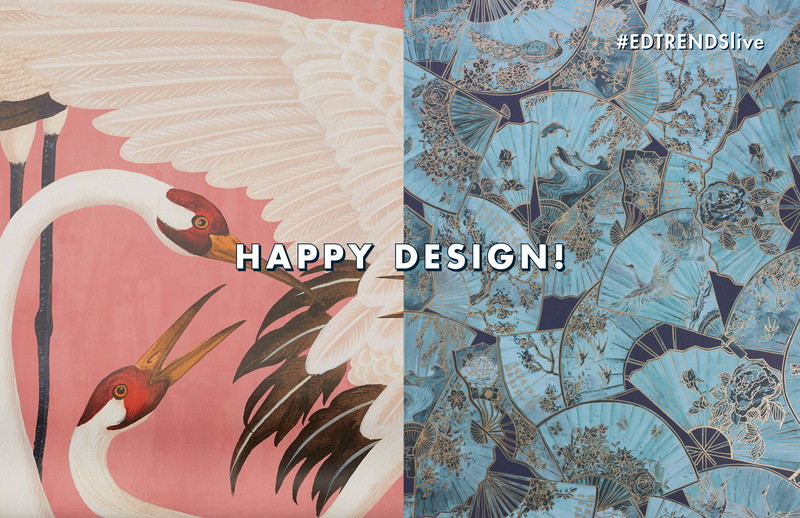 Where last year’s New Pretty was more about overtly colourful wall coverings splendid for their pattern and detail, this iteration contains the prints a little more but renders the whole in a decidedly show-off and blingy gold! Likewise with lighting, which I often refer to as the jewellery of the home, it is becoming ever more decorative, expressive and articulated; garlanding rooms like necklaces, and again rendered in super-shiny gold or polished brass finishes. 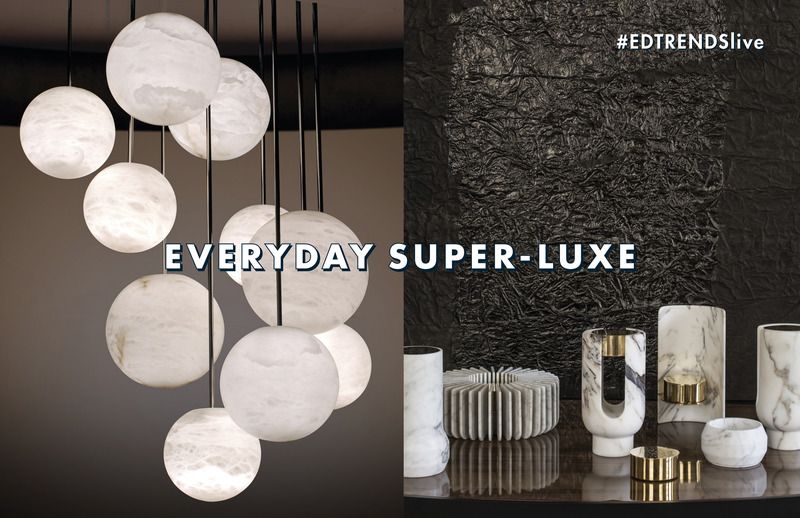 Everyday Super Luxe: a straightforward evolution of the continuing love for precious stones, marvellous marbles and exotic finishes, however now they’re starting to come off the walls and be used for more utilitarian products. Think pendant lights made from Alabaster and candle holders crafted from richly-veined marbles. Note that as this continues, I predict so too will its corollory, ie the parallel interest in more ‘povera’ finishes (the cork to plywood moves) seen earlier in Milan. Happy Design: the possible outlier. On the one hand there is the seemingly complete rejection of the black that had been seen across the previous two seasons, which is interesting when you remember that I consider the measure of the popularity of monochrome as a bravery barometer. So if it’s been rejected…. are we ready now for some fun? As such on the outskirts of design I sense a desire to really throw designerly caution to the wind. 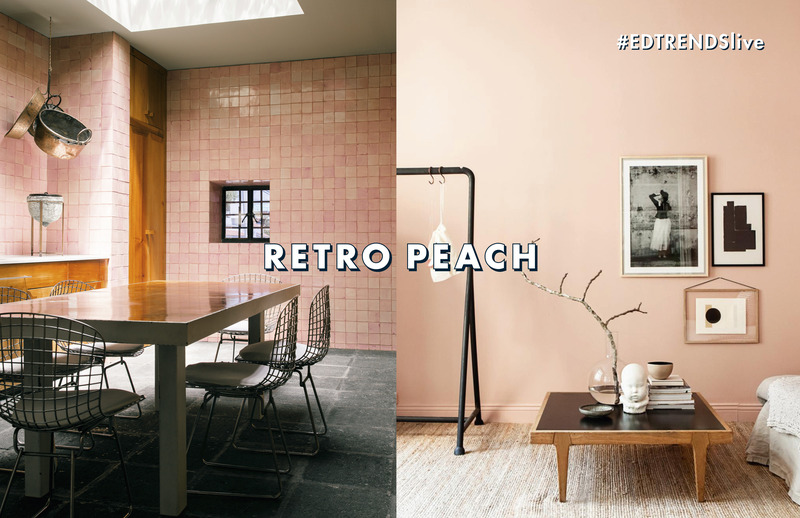 In a complete volte face to the retro peach and bruise purple, I perceived a movement to take those 50s colours from Milan 2017 and to remove the veil of grey, brighten, heighten and vibrantly mix and mismatch them. The contextual stance seems to be, well if we’re going to be blasted to smithereens in a nuclear war, then my God will we go out happy. We will do as we damn well want to our homes because we’re living for the moment. It’s New Modern on steroids! Who was doing it? Fashion designer Peter Pilotto decorated a Brompton townhouse in luscious shades of lavender to orange with prints galore (see below). Missoni Home showed their signature joyful stripes in brights alongside a first collection of wallpapers that were alive with blooms that appeared to be stitched onto the paper in the manner of their richly-embossed fabrics. 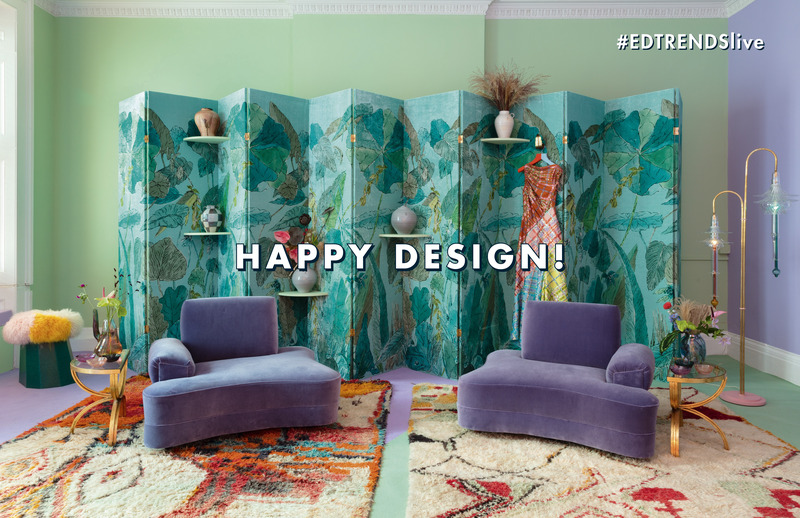 Even Gucci embraced interiors with zeal by launching a first homewares range and Matthew Williamson continued his profitable collaboration with wallpaper supremos Osborne & Little, both exhibiting overtly joyful collections. One final example: fabric house Romo taking a leap and investing heavily in their classic linen range by releasing it in an extraordinary array of new colours (above). For sure, it’s hard to definitively say where any one strand of a trend thought starts… is it in the mills as they decide which colours they want to use? 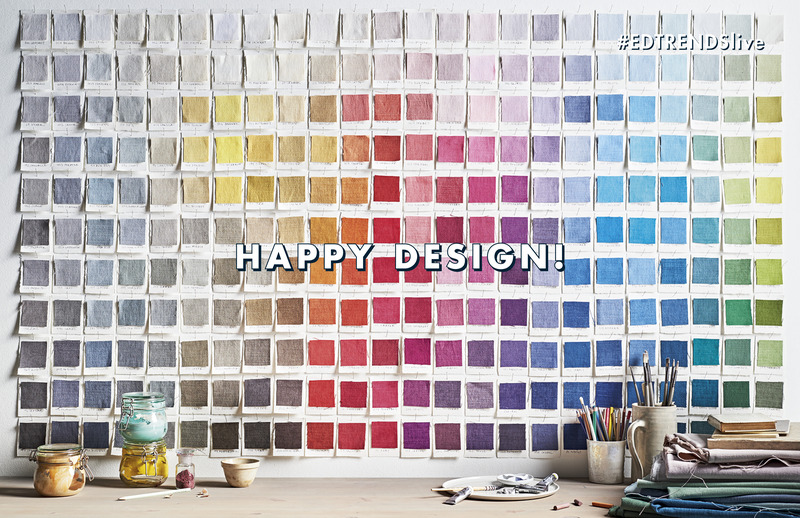 Or prompted by the final choice of designers (whether furniture or fashion) when they make their final fabric selects? Ultimately, if designers are coming from a place of authenticity, reflecting and responding to the world around them, and their interpreters have got it right, then I believe design can be one of the most accurate barometers of the zeitgeist as well as a potent agent for change. In other words, it can both hold up a mirror to the world as well as react against that reflection. At the end of the day though, the ultimate power rests with the consumers. Does what’s out there resonate with people’s needs and desires? After all no-one can be forced to buy what they do not like. And just as people power can vote for change, if given the opportunity, so people power can accelerate change if they’re unhappy with what they’re given. So are we seeing the lyrical manifestation of a growing pressure for a course correct as the world grows increasingly weary of the relentless negativity of terrorist attacks, political squabbling and governmental ineptitude? Evolution, or revolution? We’ll have to wait and see. Next stop, my Milan 18 Trend Report!